The Last Airbender Movie. . HD Wallpaper and background images in the Аватар - Легенда об Аанге club tagged: avatar the last airbender avatar last airbender aang katara toph screencap funny. 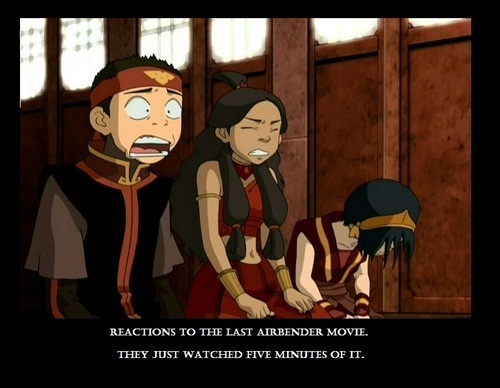 How could Toph even watch it?She's blind! Haha! This is how I would imagine Aang's expression if he found out about Zutara! lol!